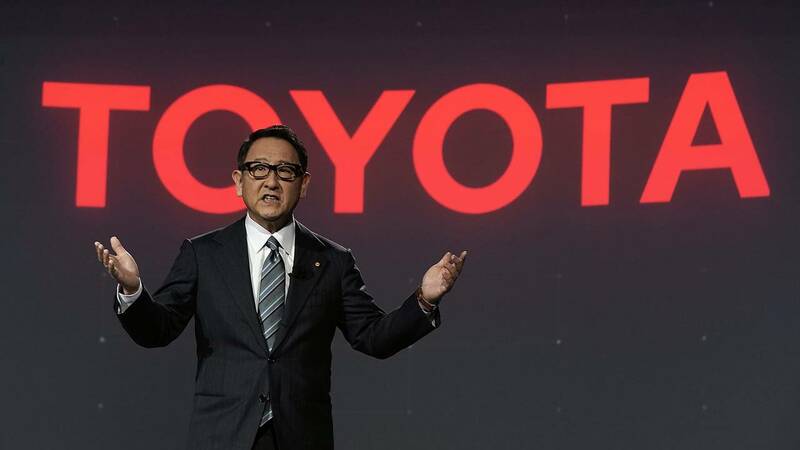 Toyota Motor Corp. President Akio Toyoda speaks at the Mandalay Bay Convention Center on January 8, 2018 in Las Vegas, Nevada. TOKYO - The Japanese Automobile Manufacturers Association warned Friday that President Donald Trump's national security investigation into auto imports could come back to bite American consumers. JAMA Chairman Akio Toyoda said tariffs on Japanese vehicles could result in a loss of jobs in the U.S. and cause significant damage to its own economy. "It is consumers themselves who would be penalized, through increased vehicle prices and reduced model options, an event in which trade-restrictive measures were to be implemented as a result of the investigation," Toyoda said. Chinese news agency Xinhua reported that concerns are growing for Japanese automakers as the U.S. is the industry's second-largest export market. Some worry that if Trump goes ahead with restrictions on Japanese-manufactured vehicles, there's a good chance that automakers will relocate their main production hubs to the U.S., damaging the Japanese economy in the process. Toyoda said Friday that Japanese carmakers have already contributed much to the U.S. economy by providing jobs. He said vehicles exported to the U.S. pose no risk to national security. Toyoda, who is also the president of Toyota Motors, said the company has 1,500 dealers in the U.S. and employs 136,000 people. He said the company plans to open its 11th U.S. manufacturing plant in the near future. "JAMA member companies today operate 24 manufacturing plants and 44 research and development or design centers in 19 U.S. states, and in 2017 nearly 3.8 million vehicles were produced by American workers at those facilities," Toyoda said. Toyoda added that JAMA believes free and fair trade brings a competitive climate which benefits consumers in the U.S. and strengthens the country's auto industry and economy.